At least 21 miners have died in southwest China's Yunnan Province as a consequence of a coal mine flooding and there is another miner still missing, Xinhua reported Sunday. 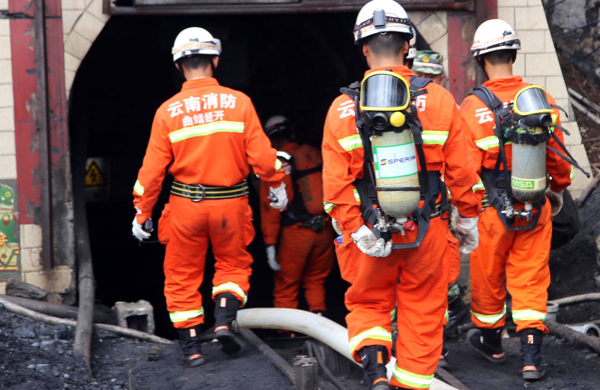 The accident occurred on April 7 at the Xiahaizi coal mine, located near Qujing City, when an explosion caused the mine to flood, trapping 22 miners underground. China leads the world in coal mining fatalities, as mine operators often skirt safety regulations. Last year alone 1,049 people were killed or went missing in mining-related accidents in the nation, the world’s largest consumer of coal, official figures show. In comparison, 52 people were killed over the last decade in US coal mining disasters, according to the US National Institute of Occupational Safety and Health. It is estimated that more than 3,000 workers die in Chinese mines every year, mostly at coal operations. One of the worst mining accidents registered in the country happened a year ago, when a landslide that displaced as much as 2 million cubic meters of earth and rubble killed 83 people in a mining area of the Tibet region. Image: Screenshot from Beijing Review via YouTube.